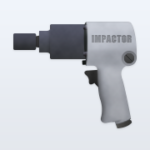 Cydia Impactor is an utility app that allows you to install IPA files on iOS device and APK files for Android. Cydia Impactor is comfortable to use on iOS 10/9/8/7/6, Android, MacOS, Windows. This app has been developed by Jay Freeman aka Saurik and is still on-going development mode which means it’s still not in it’s perfect feature. Cydia Impactor also allows you exploiting the master key vulnerabilities in the android operating system, which indeed is one of the most vital feature of this app. In case you’re to install Pokemon GO hack for iOS/Android/Windows then this tool is the right choice for you. It allows you to install any unassigned apps (or apps from untrusted developers) in iOS. The developer of the app keeps updating the files to newer version. You can update the app to newer version by just going to “Check for Updates” section. Pokemon GO hacks can be installed in android/iOS by this app. It also allows you to un-jailbreak your iOS (iPhone/iPad) device. Note: IPA is only accessible file format for iOS and APK is for android. Don’t get confused by these two terms. Locate to your download manager and open the cydiaimpactor.dmg file. The installation will begin. Follow the screen to complete the installation. As the installation completes, locate to any IPA files of iOS. Open them, your installations will begin now onwards. Enjoy! Note: Make sure you have iTunes installed in your device else the app won’t function properly. Locate to Download Manager and open the cydiaimpactor.apk file. In case the android security denies/blocks the installation of Cydia Impactor go to the device setting -> security -> app management -> check the install apps from “unknown sources”. Now again open the apk installer file. Follow the screen and complete the installation process. Locate to your Downloads folder. Open the .exe file. If you’re using Windows 10, make sure not to open the file as administrator or else it won’t work. However it will work fine for Windows XP/Vista/7/8. Process the installation wizard and complete it. Note: You may have to install a driver to access Android using the USB cable. In case your PC is not detecting you can use the Cydia Impactor’s USB Driver Scanner to build and install the essential drivers automatically. I updated it with latest version, please retry now. mr. b pls help me.. i cant download apk emulator plss help me. this my dreamz mr.b longtme ago.. pls help me to try this..
Cydia Impactor wont recognize my ios device, what do I do? Please help! !